Sinabi ng basher na parang nahagip lang ng camera si Kris Aquino. 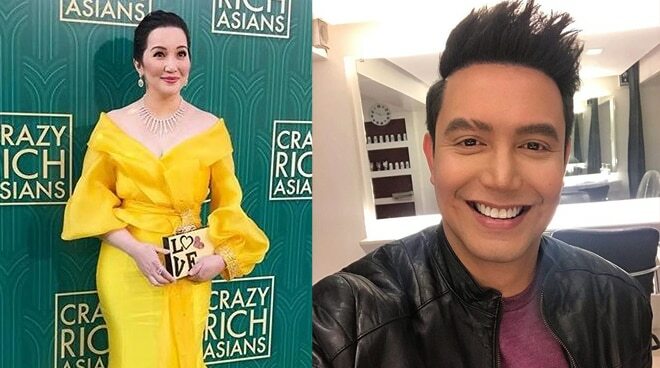 Paolo Ballesteros defended Kris Aquino from a netizen who made negative remarks about the actress-host. In an Instagram post of Kris which was a snapshot of her at the Hollywood premier of "Crazy Rich Asians", the basher wrote, "Siya ba ung na hagip sa camera kung maka pustura daig pa si Nora Aunor sa international gala." In defense of Kris, Paolo told the basher, "Nakakamatay ang inggit." Kris plays the role of Princess Intan in the movie. The actress-host made head turns in her Michael Leyva gown during the event and even made headlines in various international publications.